Rachel Hinks guest at The Scout Hall “The Scout hall is an amazing place to stay in. Decorated throughout with a quirky vintage theme combined with scouting/guiding memorabilia. It is extremely well equipped throughout and the views from the deck are breathtaking. We also appreciated the little homely touches such as afternoon tea, fresh flowers & a stamped postcard. We will definitely be recommending it to friends & family and plan to return either to Scout Hut or to other accommodation owned by Vintage Vacations. Andrea Choate, guest at The Shack “We wanted to get away from it all and The Shack certainly delivered; a gorgeously cosy place with a lovely view out to sea. Who wouldn’t want to stay here! It had everything we needed – a bbq /chairs & table outdoors, a well equipped kitchen, a wood burning stove to keep us warm, comfy beds and deliciously plump duvets to snuggle into. Tamar Nigogossian, guest at The Mission “The Mission was just amazing. We spent ages just opening drawers and looking in corners finding new treasures every time! So much to look at. And it is functional, fully fitted out kitchen meant we could cook well. The bedrooms were super comfy and so cute! The bath was amazing- had mountains of bubbles, I felt like a 5 year old again. But the best bit was the stove, we pulled up the sofa and a chair and sat in front of the fire drinking mulled apple juice eating cake and playing the selection of games on hand. Our favourite was Shop Missus- we laughed so hard we cried! Gemma Copping & James Stimpson, guests at The Shack “We stayed in the shack for the first weekend in June and we loved every second. The Shack was beyond beautifully decorated with so many little touches that came together perfectly. It was also very well equipped with good facilities. The close proximity to a near deserted beach was idyllic, allowing us to fly a kite and watch a perfect sunset together. Our evenings were spent playing games, drinking wine, talking and listening to the radio. It was the simplicity and escapism that we both very much were in need of. 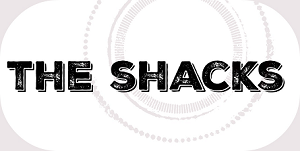 Sue Lupton, guest at The Shack “For anyone who likes getting away from it all, The Shack is pure bliss. It positively oozes Wow! factor. I loved the quirky, vintage decor, particularly the plastic bambis. The accommodation is comfortable and cosy, equipped with everything you could need, including a log burner. The setting is out of this world. I was blessed with beautiful weather, at the beginning of September, and spent hours sitting in the armchair, mesmerised by the view. There is a resident robin, who loves crumbs of cheese. An absolute delight. Thanks, Helen and Frazer. Giles Robertson, guest at The Scout Hall “Great location, nice and original styling. Not too brittle for kids! The bath is worth the trip just for the view. Would make a romantic get away but sleeps eight! Easy to get to all the main attractions. Amanda Hayes, guest at The Scout Hall “A simply awesome place to stay. Beautiful location with outside space for boys to run about safely. Brilliant facilities with everything you could need supplied – even a delicous Victoria Sponge to enjoy on arriving (it lasted about 5 mins! ).